Once there was a Postman who fell in love with a Raven. So begins the tale of a postman who encounters a fledgling raven while on the edge of his route and decides to bring her home. The unlikely couple falls in love and conceives a child — an extraordinary raven girl trapped in a human body. The raven girl feels imprisoned by her arms and legs and covets wings and the ability to fly. Betwixt and between, she reluctantly grows into a young woman, until one day she meets an unorthodox doctor who is willing to change her. 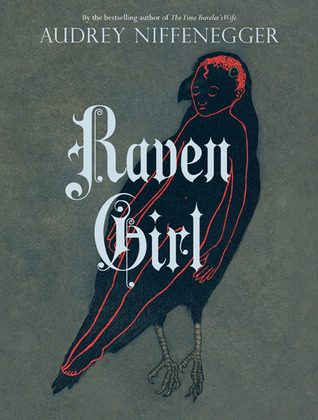 Complete with Audrey Niffenegger’s bewitching etchings and paintings, Raven Girl explores the bounds of transformation and possibility in a dark fairy tale full of wonderment and longing.